“GLOWING IN THE DARK.” Now’s your chance to join a sparkling fun run as Energizer opens its fifth Night Race to share “Positivenergy” with your friends and families. RUNNING FOR A BRIGHTER WORLD. Gear up and be ready for this year’s Energizer Night Race, happening at Filinvest grounds in Alabang. 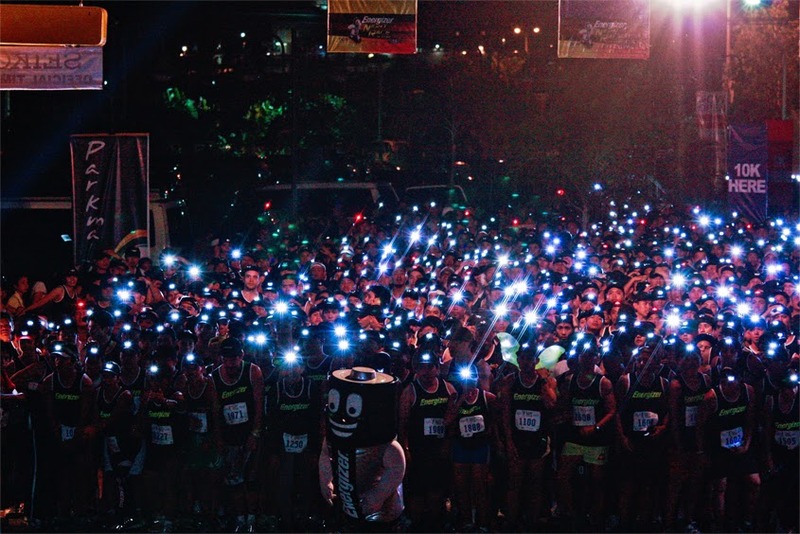 Though the press kits include a headlight that is worth P499, organizers of the event still made the run more affordable for runners with the price registration ranging from P600 for 3k runners, P700 for 5k and P800 for 10k runners. The registration will start on August 2, 2014 at official registration sites including RUNNR at Bonifacio Global City, Alabang Town Center and Brooks SM North Edsa Annex. Details of the event registration are also available on Energizer’s website at www.energizerbatteries.com.ph. and www.Facebook.com/EnergizerPH.